Summary: Despite some lingering issues and many similarities to the previous generation, the XPS 15 9570 surprises with its performance, making enough of a difference to be a worthy upgrade. We hope Dell puts more resources into squashing the XPS 15's remaining issues and giving the design a more complete refresh for the next iteration. I’ve seen many people clamoring for a review of the XPS 15 9570; unlike the previous releases, it seems there is a scarcity of proper reviews for this iteration. To briefly explain why that is, we just need to look at the machine’s popularity. 06/13/2018: added battery life benchmarks, issues, and conclusion. Review complete. From the 9550’s initial release in October of 2015 to today, the XPS 15 has only become more and more sought-after. One of the main reasons OEMs like Dell send out review samples is to increase brand awareness and publicity — and of course they likely believe that the device will be granted (at least) a warmish reception by the reviewer, as well. 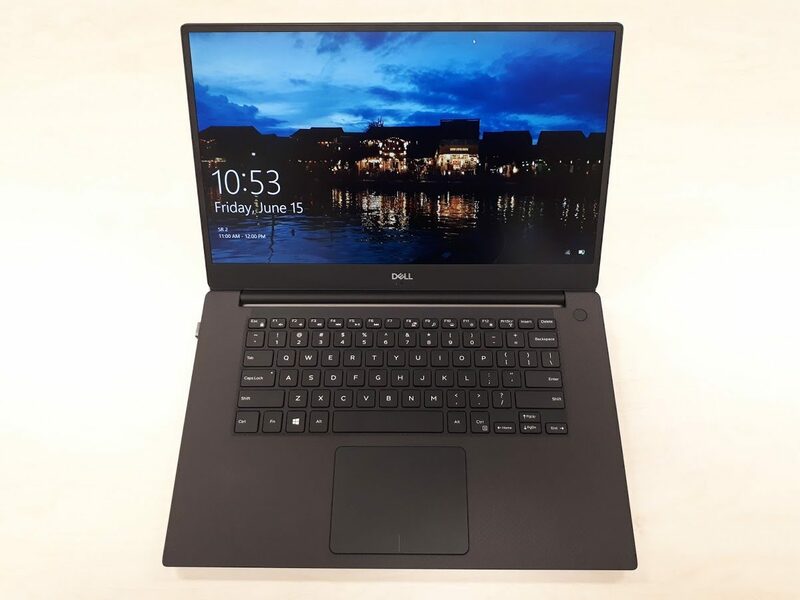 With the XPS 15 9570, Dell knew that the craze for the device had reached a fever pitch and even exploited it to the point where they offered pre-order gift cards for a chance to be first in line to purchase. Any in-depth coverage would inevitably cut down the hype (that the consumer base admittedly created themselves) and result in less XPS 15 9570 units sold, so not sending out review units only helps the company. “But this is the most powerful XPS 15 ever!” you might say — and you’d be right of course. But take a look at the XPS 13 9370 and the XPS 15 9575 and you might start to see why Dell is in no rush to get these laptops to reviewers: The XPS 13 9370 received a redesigned chassis, Windows Hello IR cam, new cooling system, and an entirely new (and entirely awesome) spun glass option. The XPS 15 9575 was a brand-new convertible design sporting the new Intel/AMD hybrid 65W chipsets and a mag-lev keyboard. The XPS 15 9570 has a centered nose-cam and a fingerprint sensor now on the power button, but more or less appears to be simple drop-in upgrade. In comparison to the 9370 and 9575, the 9570 looks like an afterthought. But is it? This review will take a close look at the 9570 and determine whether it is indeed the forgotten member of the XPS family or the dark horse leader of it for 2018. As very little of the XPS 15 9570 has changed from the previous two years, I direct you to my 9560 (and 9550) reviews for sections where little/nothing has changed. Update: You should also check out my long-term update after spending several more months with this laptop. Note: Much like the XPS 13 9360 received 8th gen Intel chips later last year but got a proper redesign with the 9370 a few months later, I have a hunch that the “real” XPS 15 refresh will happen later this year towards Christmas. We’ll see if I’m right. As the chassis is nearly identical to last year’s XPS 15 9560 model, we direct you to that review for a more detailed overview of the design and build quality. 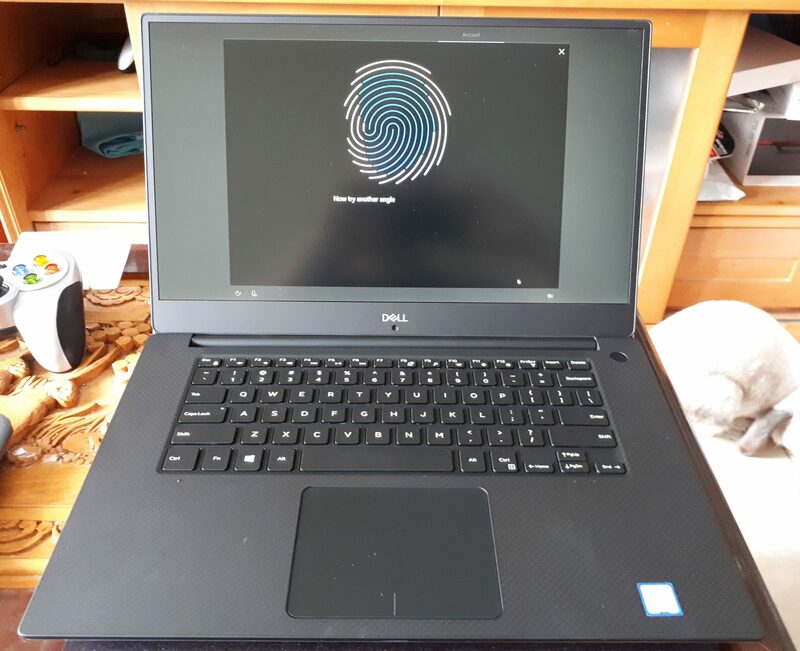 The fingerprint scanner has been moved to the power button, the webcam has been centered, and the Dell logo is done in a lighter silver embossing that matches the XPS 13 9370’s lid design instead of the black from previous generations. Other than that, nothing has changed. The lid is the main differentiator between the 9570 and previous generations. It’s a testament to how far ahead the 9550 was when it came out that the design hasn’t been updated at all yet it remains one of the most handsome laptops around. However, the design is certainly getting old at this point, and I am very much looking forward to a proper redesign of the chassis. Not much needs to change, but the webcam is top priority. 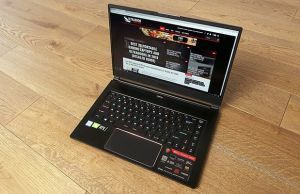 There is no excuse for it to be at the bottom of the display, as MSI’s GS65 has proven. Port-wise, the only changes are internal: the TB3 port now has a full 4-lane PCIe implementation. Unlike the XPS 13 9370, the XPS 15 9570 did retain its full-size (though half-depth) SD card slot. The XPS 13 9370’s keyboard got a minor upgrade from the 9360 via slightly larger key surfaces and firmer feedback. Unfortunately, the 9560’s keyboard doesn’t seem to have gotten a similar treatment; it is exactly the same as last year’s 9560. Moving between my two XPS systems, I can feel an immediate difference between my 9370 and 9570; the 9570’s keys feel slightly mushier. However, I am still able to type quickly and accurately on this keyboard. It might be that I have been using these types of keyboards for the last 3 years, but I’m able to hit 110 WPM on this keyboard vs. around 100 on my XPS 13 9370’s. The 9370’s keys do have better feedback, but it may be the slightly lower actuation force required on this keyboard contributes to my faster typing. The on-button fingerprint sensor is the main difference in the deck between the 9570 and 9560. It’s still quite a decent keyboard, and in my experience better than its competitors. It’s certainly better than the MacBook keyboards of late, and beats out the Asus ZenBook keyboards, which I found too mushy and hard to hit. The Aero 15’s keyboard probably has the best feedback of the 9570’s competitors, but it’s also off-centered, which is very uncomfortable when typing on the lap. Speaking of typing on the lap, the move from the XPS 13 to the 15 is extremely noticeable in this regard. 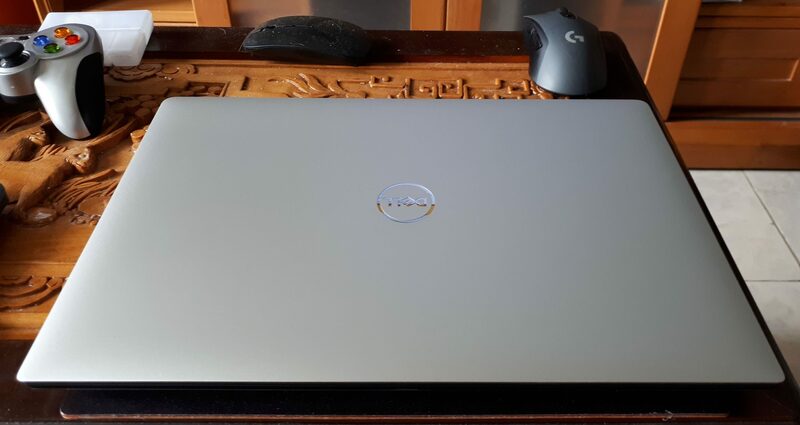 Working in a cramped space (such as a plane or bus) with an XPS 13 is very doable, but the width and depth of the XPS 15 makes it equally likely you will elbow someone next to you as hit the person across from you with the screen. The Microsoft Precision trackpad supports all native precision gestures and works as one would expect for input on modern flagship device. The surface is glass and tracks well, with my only gripes being that it is quite easy to accidentally press the right click instead of the left and there no way to completely remove the inactivity delay forced on the trackpad after a key is pressed. This can be improved by raising the overall sensitivity to “most sensitive”, but this can cause unwanted behavior such as excessive cursor movement. These issues are squarely in the court of Microsoft, however, so Dell can’t be blamed for the Redmond company’s dumbing-down and removal of critical features of Windows. Like its predecessors, the 9570 is available with both a non-touch matte FHD panel (1920 x 1080) or a glossy UHD (3,840×2,160) touchscreen protected by Corning Gorilla Glass. The only difference this year is that the screens are 100 nits brighter (400 vs 300 nits) before. I would have liked to see edge-to-edge glass on the matte display like the XPS 13 9370 has and a 1080p touch option like the XPS 15 9575 has, but Dell has not elected to provide either. Since there have been no other changes to the upper assembly except the brightness, the same defects that plagued the 9550 and 9560 are still present, according to reports. Things to watch out for are uneven lighting, backlight bleed, and off-centered panels (the last two are especially common in the FHD model). The matte FHD panel in my unit is quite bright, reaching around 390 nits, and has even brightness distribution and coloring. In daily use so far, I usually leave it between 20-30%, as the peak brightness combined with the excellent matte coating mean it is always highly visible. Given my past experiences with the XPS 15 (both FHD and UHD models), I am actually pleasant surprised at the overall quality; there are 2 moderate sources of backlight bleed, which are the lower left and right corners, as well as some slight bleed across the whole bottom. This panel does seem to be nearly completely centered within the bezel. My only gripes with the FHD panel in this unit is that instead of the edge-to-edge Gorilla Glass design that the XPS 13 9370 utilizes for both FHD and UHD SKUs, the FHD screen is still surrounded by a hard plastic bezel. It feels and looks fine, but it is relatively easy to scratch or catch dust. I would also have loved to see the option for a touch version of the FHD pane like in the 9575. 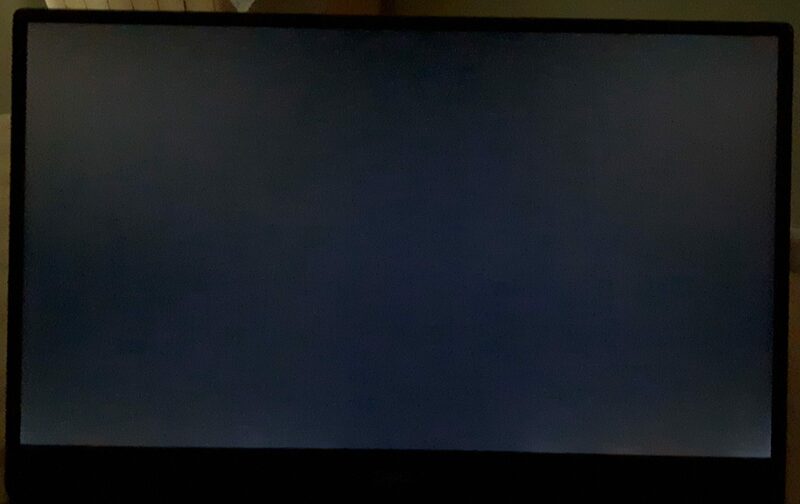 Moderate backlight bleeding on the FHD panel. Only the bleed in the two corners is noticeable on a completely black background. The i7-8750H outperforms the i7-7700HQ by around 10% in single-core and 25% in multi-core performance and so it is a welcome upgrade for the 9570. Because the i5-8300H is only a few percentages faster than the previous i7-7700HQ and lacks the additional cores of the i7-8750H, my advice is to not bother at all with the i5 SKU of the 9570 and pick up a refurbished or used 9560 for much cheaper. Dell also offers an i9-8950HK option for a significant premium over the i7-8750H, but everything I have seen so far from the laptop suggests to me that this is simply marketing, as the cooling system in the 9570 is woefully unequipped to deal with the i9. For more details on the difference between the i7-8750H and i7-7700HQ, please check out our i7-8750H vs. i7-7700HQ comparison. The i7-8750H puts up a decent single-core score and an impressive multi-core score, clearly showing its advantage over the i7-7700HQ in the previous generation. 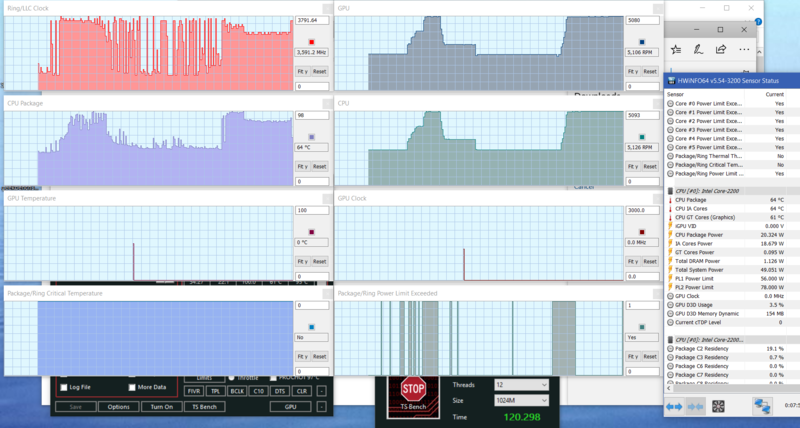 Next you can see the results of a basic 1024MB stress test performance with ThrottleStop’s TSBench tool. You can see the fans hit a max RPM of 5080 briefly after the test begins, but they are unable to prevent the CPU from hitting 99C and throttling down. 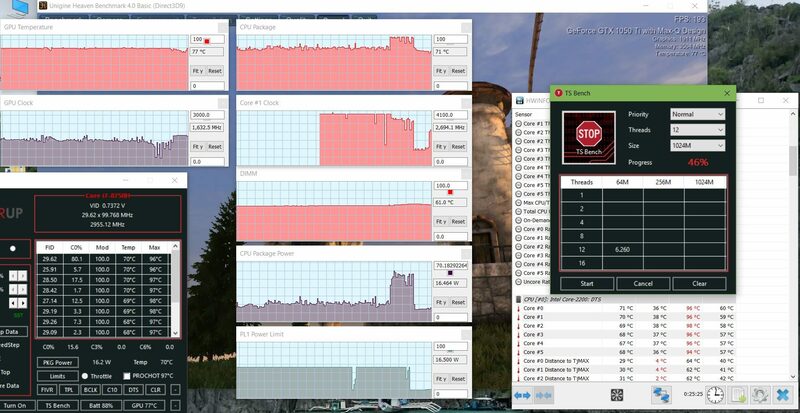 The i7-8750H performs with aplomb in the Cinebench R15.0 multi-core test, posting a score of 1117. We do see a significant increase in even single-core performance between the i7-8750H and the i7-7700HQ, though it is nowhere near the jump afforded by the addition of 2 cores and 4 threads. To determine how the CPU performance fares under extended load, I run a loop of the Cinebench Multi benchmark 10 times and track the score for each run to find the average. Quite interestingly, the average run of the Cinebench loop is actually higher than the first single run of the multi-core benchmark. I believe this is due to a delayed fan profile on the 9570 where the fans do not initially speed up fast enough to keep the CPU cool in the first instance. As seen in the Cinebench loop, however, once the fans are going at full, it seems the CPU is able to keep its cool better and maintain higher speeds. The fact that the loop score of the 9570 is nearly double that of the 9560 is quite impressive and worthy of note. 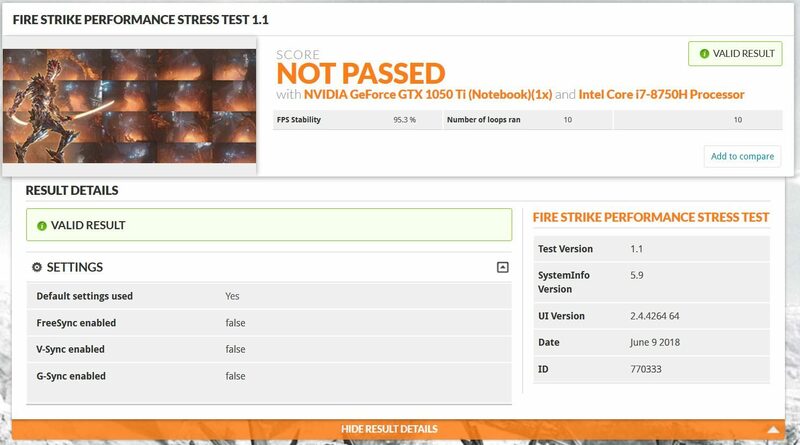 The overall Fire Strike score shows slightly more than a 20% performance increase over the GTX 1050, though this is partially due to the significantly higher physics scores achieved by the hexa-core i7-8750H CPU. Looking at the graphics scores for Fire Strike alone, we see a roughly 17% increase. 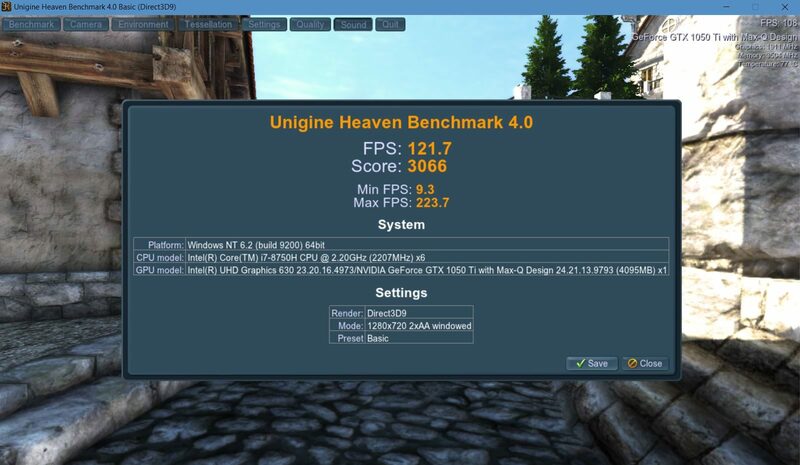 Unigine Heaven 4.0 (Basic) is a fairly mixed (CPU/GPU) gaming benchmark, and here we see only a 6% increase in performance. 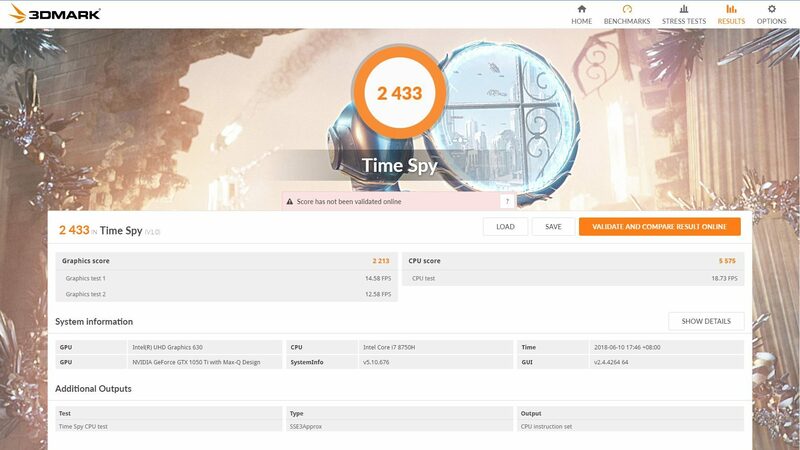 The 9570 leads the 9560 significantly in the newer Time Spy benchmark. Where the XPS 15 9560 with i7 and GTX 1050 scores 1820, the 9570 scores 2433 — a 33% increase. The first was a 20-minute loop of the Unigine Heaven 4.0 benchmark. Where the 9560 typically saw heavy throttling after less than 10 minutes, I only detected only a single minor dip in power-limits, which did not seem to impact performance. It is good to see that thermals seem to be better than those of its predecessor out of the box. Next, I stepped things up a notch by running TS Bench during the Heaven loop. This simulates a rare use case, but it is good to see how the system behaves under such stress. Given the power-hungry nature of the hexa-core i7-8750H, I was not surprised at the result: temperatures quickly approaching TJmax and the machine power limit throttling down to about 15W for the CPU. GPU clocks remained fairly stable, however. The DIMM sensor did not read higher than 62C, however, so I do not believe VRM-related throttling was triggered in this event. The system fails a relatively mild Fire Strike stress test of 10 loops, with a score of 95.3%. 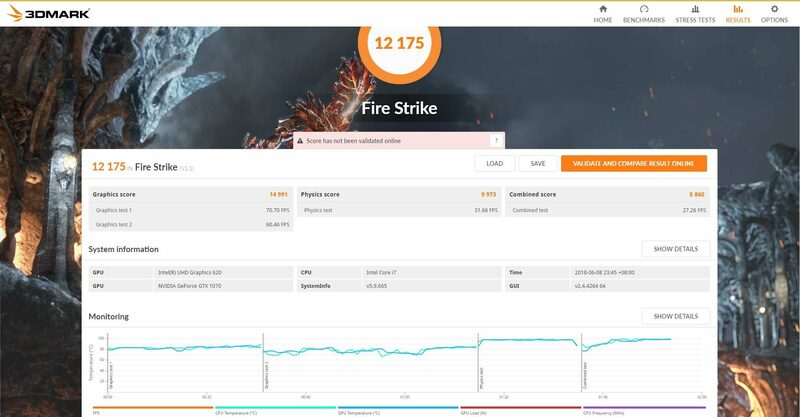 Unfortunately, throttling is apparently present in our 3DMark synthetic test: 3DMark Graphs reveal a consistent CPU speed of 4.0GHz at 70C throughout the test while the GPU held at its prioritize temperature of 77C. 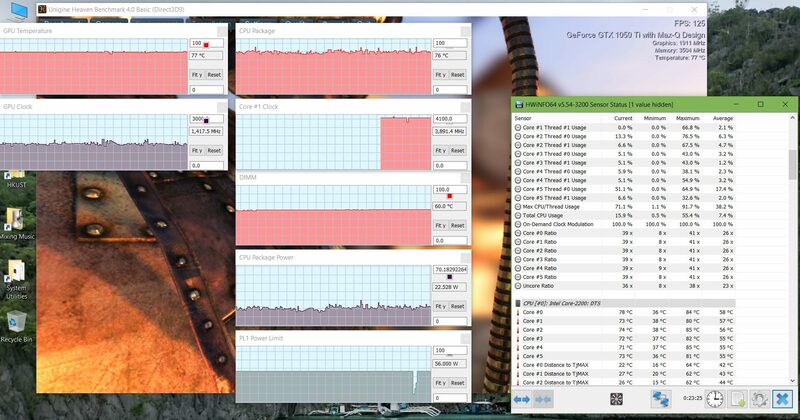 However, to keep this temperature, the GPU automatically downclocks, which results in the failing grade on this stress test. Overall, the XPS 15 9570 seems better tuned for consistent gaming performance at stock than the 9560 and 9550, which is a pleasant surprise. 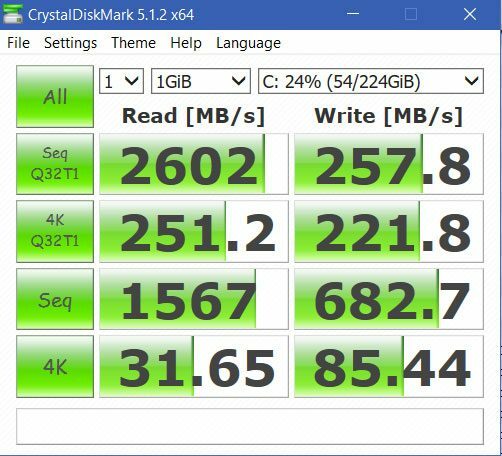 My unit came configured with a CA3-8D256-Q11 NVMe LITEON 256GB M.2 SSD, and you can find the read/write speeds in the image below. As you can see, the read speeds are on par with most NVMe SSDs these days, however the write speed is particularly slow. In comparison, a mid-range 256GB Samsung 960 EVO has around 900 MB/s write speeds. The included 256GB Lite-On SSD’s Q32T1 write and 4K read/write speeds are extremely slow by NVMe standards. One very welcome change for the 9570 this year is the change to a TB3 controller operating on all 4 lanes of PCI Express Gen 3 as opposed to the 2 lanes the 9550 and 9560 operated on. Previously limited to roughly TB2 speeds (20Gbps), the TB3 implementation of the 9560 was still functional, but the reduced bandwidth meant that eGPU usage incurred an additional and severe performance hit when using the 9560’s internal display. With all 4 lanes now utilized, using an external GPU on the internal display shouldn’t see too much performance degradation. My benchmarks done on my Mantiz Venus + GTX 1070 setup seem to confirm this, though I have noticed that the graphics performance is significantly better with my XPS 13 9370 versus my 9570. 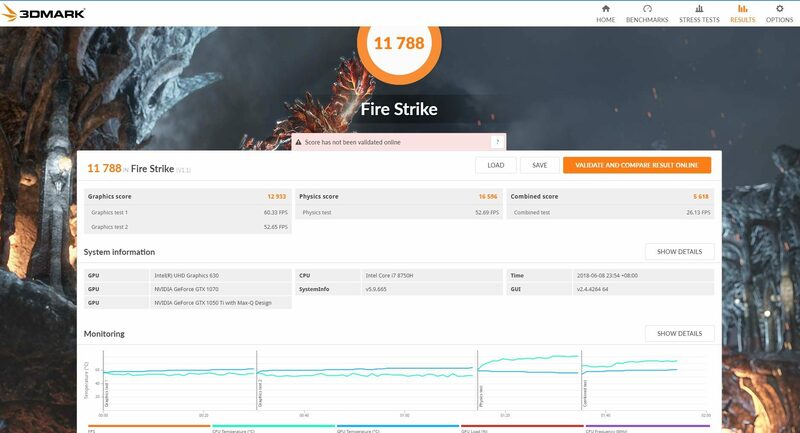 Despite a physics score of over 14,000 (compared to the ~9500 the 9370’s i7-8550U achieves), a lower graphics score brings the total score down significantly. I am not sure if this is driver or BIOS-related, but my current theory is that where the XPS 13 9370’s TB3 signal feeds directly to the CPU, the XPS 15 9570 is using an additional daughterboard (Alpine Ridge) to provide TB3, which may induce some performance degradation in comparison. The lower graphics score actually has a more significant impact on real world gaming performance than the Fire Strike score suggests, and this is due to the much lower 1% low framerates seen on this XPS 15 than the new XPS 13. While DOOM (2016) ran smoothly locked at 60 FPS on Ultra settings, Prey (2017), which runs perfectly on the XPS 13, suffered frequently from stuttering and sub-60 framerates. Thus, if you are looking for a laptop primarily to game with in conjunction with an eGPU, I would recommend looking elsewhere. The BIOS deserves some coverage in this review because of its added features with this generation. Pleasantly, there is an option to disable the wasteful “modern” standby mode forced upon us with the latest generation of Windows PCs and Intel CPUs and enable S3 sleep (traditional standby) instead. This may be necessary for some people, because I was experiencing about 10% drain overnight with modern standby on. However, after enabling S3 standby, I started seeing momentary black flashes of the display, which looked like display driver/power issues, so I turned it off. I’m not sure if this is a driver issue or a hardware problem with the S3 sleep implementation, but it’s worth looking into if you don’t want to deal with the power drain and privacy issues of “modern” standby. Also notable is the addition of an option called “unobtrusive mode”, which is mapped to Fn + F7. This allows you to immediately turn off the backlight and keyboard lighting (though the computer will still accept inputs) in a pinch. I find it is especially useful for meetings or dual-monitor usage where you don’t want to distract others with the screen, yet still want the laptop on to quickly jot some notes down. Unscrew the 10 T5 and 2 Phillips screws and you will have access to all that can be upgraded in the XPS 15 9570. Everything that was true for the 9550 and 9560 is still true here, meaning we get an NVMe PCIe SSD slot (m.2 2280), 2 SO-DIMM slots, an m.2 NGFF slot, and, if you have the 57WHr battery, a SATA III bay for traditional 2.5″ storage. While it is nice to see the RAM, storage, and Wi-Fi remain upgradable (unlike the 9370) it is frankly time for the XPS line to get rid of its 2.5″ bay, keep the large battery, and add a second m.2 SSD slot. Maybe next year. Usage of Dell Command Power Manager allows the setting for 4 fan profiles, which should (in theory) allow the user to adjust the fan activity to a level they are most comfortable with. The levels include Optimized (balanced), Cool (higher fan speeds and CPU throttling), Quiet (lower fan speeds and CPU throttling), or Ultra Performance (most liberal with fan speed, CPU should throttle least). The fan is generally off during idle and light loads, on at a lower level while charging, and at the second-highest level while gaming. At 5000 RPM, the fans are quite noisy, so unless you are using headphones or a powerful speaker system, I find it’s worth it to cap FPS at 60 or use V-Sync to avoid excessive noise while gaming. Previous generations of XPS 15 suffered from throttling induced by poor cooling of the voltage-regulator module (VRM), of which I have written about trying to fix here. The cooling system still has not changed overall, but the VRM configuration seems to have. Where I initially believed it was likely to be an issue in this iteration as well, I have yet to experience any kind of VRM sensor-based throttling like int he past. Whereas the previous XPS 15 releases throttled based on a sensor labeled “Ambient”, it appears to be using a sensor labeled “DIMM” for the 9570, but I have not seen the DIMM sensor go past 62C in any of my stress testing. If I encounter this in any further usage, I will update the review to note it. The XPS 15 ships with a Killer 1535 802.11ac Bluetooth 4.2 combination network card, which is a 2×2 card with a maximum throughput of 867Mbps. I experienced minor issues with my card not being detected on occasion when waking from standby. When I contacted Killer about this, they informed me that it is an issue with the Dell BIOS and should get fixed in the XPS 15 as it was just fixed in the XPS 13. While the card should work fine for the majority now, swapping the Killer card out for an Intel 9260 module is cheap and easy — plus you’ll get Bluetooth 5.0. Previous generations were plagued with issues of waking during sleep, which was caused by the wireless card. This was an issue as the laptop would usually wake up in a fitted bag or case, where it would overheat. Thankfully, I have not run into this issue in my testing yet, so it has hopefully been resolved. The speakers are the exact same downward-firing speakers as before, and my complaints are the same: the MaxAudioPro software is buggy, with the 3.5mm jack sometimes not detecting headphones (or switching back when headphones are unplugged), and the speakers are mediocre. I experienced frequent clicking and popping in my headphones (though not speakers), and I stress that if you are working with audio of any kind, always turn off the MaxAudio enhancements. I was trying to figure out what had gone wrong with my music as it was clipping and hollow sounding — I was terrified that my collection had become corrupted (I am a DJ) when I discovered that the culprit was the MaxAudio “enhancements”. It has been 3 years since these audio issues first reared their ugly head with the XPS 13 9350 and XPS 15 9550, and it’s more than about time Dell gets their act together to sort out the audio issues. Beyond more stable audio drivers, my preference for upwards-firing speakers on the sides of the keyboard still stands as my recommendation for future generations. With the 9560, Dell increased the capacity of the 6-cell battery from 84Wh to 97Wh*. Since 99Wh is the legal maximum for air travel, the battery remains the same size. The efficiency of the Kaby Lake refresh plus 15% more battery capacity meant that the 9560 got around 2 hours more battery life than the 9550. However, Coffee Lake is significantly more power hungry under multi-threaded load and slightly less efficient at idle, so I expect a slight decrease in battery life with this generation rather than an increase. While the CPU consumes less than 1W at idle, at full CPU load, the i7-8750H pulls an extreme amount of power — over 75W on AC! This means that it will be very important to tame background tasks while on battery power, as keeping the CPU awake with indexing or other tasks will significantly dent battery life. Also remember that the UHD touch display will use significantly more power at any load, so if you are trying to figure out if the display is worth the hit on the battery, you can assume 20-30% less longevity with the UHD/i7 SKU. *Despite attempting to calibrate twice, my battery is showing 9.9% wear out of the box, meaning its true capacity is 87Wh. I also requested a replacement battery, and that one had 9.9% wear as well. I have seen many reports online of people with roughly 10% wear out of the box, and my conversations with Dell support have ended up with “the battery is operating as designed”. I hope there is nothing fishy like the “97” Wh battery being 87Wh standard, and I imagine if that were the case then everyone would have noted by now. Still, I have to note that this is an ongoing issue with the battery. Battery life is overall decent for a powerful laptop of its size, but it is unfortunately not an improvement over the 9560. One of the weaknesses of the hexa-core Coffee Lake-H chips is the much greater potential maximum power draw from the CPU. This tends to reduce battery life significantly if you are not careful about what kinds of applications you have running. The XPS 15 9570 is available in most countries directly from Dell, though lead times and configuration options vary by region. A hint: if you can’t find the configuration you want, try looking at the XPS under “for work” rather than “for home” on Dell’s website, and you may find there are significantly more configuration options. You can also check out their availability on Amazon (affiliate link) for more configuration and shipping options with faster shipping times. Prices range from US$999 for the most basic model with an i5-8300H, 8GB RAM, and 1TB HDD. and no GPU up to nearly US$2850 for an i9/32GB/1TB/4K UHD model. At the moment, there are no refurbished 9570 models available, but if you wait a few months or so, we will probably see lower-priced refurbs on eBay, Amazon, and the like. 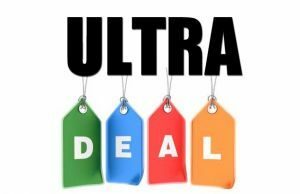 Refurbished Dells are a great buy because they are not only hundreds cheaper but you get a free warranty upgrade. Constant crashing out-of-the-box. Changed to AHCI (from RAID) and swapped the SSD, and this seems to have fixed this. Crashing when GPU is stressed after 2-3 minutes (BIOS update 1.1.4, currently pulled from Dell’s drivers website for some reason, seems to have fixed this). Possible the GPU was not downclocking despite high temperatures, leading to instability. Two batteries so far have 9.9% wear brand new. Dell has advised me that “the batteries are operating as designed”. The XPS 15 9550 stood head-and-shoulders above its competition on release in 2015, but we’ve seen that lead get whittled down over the past 3 years. Current competitors to the XPS 15 9570 include the HP Elitebook 1050 G1, Lenovo ThinkPad X1 Extreme, HP ZBook Studio G5, Asus ZenBook Pro UX580, 2018 Razer Blade, Gigabyte Aero 15X, and MSI GS65. However, there are not really any blow-for-blow competitors to the XPS 15 9570: The HP EliteBook has a slower GPU; the ThinkPad X1 Extreme a smaller battery; the ZBook Studio G5 is significantly chunkier; the Asus ZenBook Pro UX580 is larger and more expensive with less build quality; the Razer Blade lacks biometric authentication and after-sales support/service; the MSI GS65 has a dim panel, much poorer build quality, and more ostentatious looks; the Aero 15X lacks biometrics, a centered keyboard, and build quality — and so on. Despite the remaining space for improvement, the XPS 15 9570 is still one of the most well-rounded hexa-core laptops on the market. As this is the third iteration of the popular XPS 15 series with this same design, I have subjected it to somewhat more scrutiny than I would the same laptop from another OEM as a first-generation product. It would be remiss of me not to mention my gripes: buggy WiFi, initial instability, no Windows Hello cam, lack of 1080p touch option, and the overall feeling that Dell’s time and effort favored the XPS team’s other products instead. However, I have to say I have been surprised by how well the 9570 stood up to everything I threw at it during testing. Above its other specs, the 9570 delivers a fair amount more GPU muscle with the GTX 1050Ti Max-Q, but its the striking amount of CPU performance in this package that seals the deal. There are now lots of thin-and-light laptops with quad-core hyper-threaded CPUs out there, but there is still only one laptop with the hexa-core CPU, fit and finish, small footprint, competitive pricing, comprehensive support, and overall feature set of the XPS 15 9570 — and that’s why, though it’s far from perfect, it still gets my recommendation. Many thanks for the review! Looking forward to the forthcoming parts! I just got the 9570, my first XPS. I'm liking everything but the speaker/sound quality is disappointing. Actually, I am thinking I may have a defective product. Along with impressions like yours regarding the mediocre speakers, both speakers emit too much distortion, mainly on basses. For instance, in the song Strawberry Fields Forever (https://www.youtube.com/watch?v=8UQK-UcRezE), all the time there is clear distortion from 70% volume level. At 100% volume, it sounds a bee hive! If Dell MaxxAudio is on, the distortion is worse. If I turn off MaxxAudio, the distortion is reduced, but you can still listening to it in many parts of the song above (for instance around the 20 seconds). I have all drivers updated. Do you have such bad distortion in your XPS 9570? I am not getting any distortion with that video – it might be they aren't secured properly inside the chassis (you could always take a look and poke them with your fingers just to make sure they are tight) but it most likely will require service to replace them. Thanks for taking the time to do an actual review! Looking forward to more of your results. Do you have a suggestion for docking stations for the Dell XPS 9570? I'm thinking about the Dell "TB16 240W". Have you undervolted the 9570 to see if Cinebench scores and overall performance and cooling improve? I have undervolted to -120 and will rerun CB tomorrow. No change with the undervolt it seems. My UV re-run was 1115 average. Hi Doug, Great review. Looking forward to the 4K touchscreen review. Above you comment it is glossy, but the Dell website describes it (4K) as "anti-reflective". They say "anti-glare" on the FHD, no touch version. What is your take? Glossy screen makes me shy away from all touchscreens! The FHD "anti glare" is your traditional matte screen. The uhd's anti-reflective is a glossy screen with a new anti-reflective coating, same as the XPS 13 9370. This new coating is a big improvement over last year's but I recommend checking a store in person first. It'll be the same as the 9370 if you can only find a display model of that. Erm… so this laptop is totally garbage? You're not serious, right? The laptop has bluescreens if I use the SSD it comes with? I am totally not going to swap it if I pay 2000Euros for a damn laptop. Also the TB3 bad performance seems also like a joke. This is just unbelievable… so there is not a single good laptop in 2018. Every single one has a damn big issue. Gigabyte Aero, Razer Blade, Zenbook Pro… all sh*t.
@Roger Smith aaaaha ha ha haaaaaaaaaaa… very funny, NOT. Is there anyone besides Notebookcheck that is going to test the 4k panel of the 9570 extensively? I am interested in buying the 9570 with i7 and the UHD display. I intend to use it for photo editing and was wondering if it's a good choice. What's your opinion on that? Thanks! Should be great with the screen. Though if money is an object and you are only doing photo editing, you could probably buy a 2nd hand 9560 with the UHD panel without much difference. Thanks, Doug! Actually, I think I’ll go with an FHD 9560 (2nd hand). It’s right in my budget and don’t think the diffrence in performance is worth the extra money. Are you able to test it with LatencyMon (or even some DAWBench scores)? I am not a gamer but I am looking for a new laptop for music production with Cubase. Since you are a DJ, I am wondering if you have any experience with DAW performance on the 9570? While some people have found the XPS 15 (either 9560 or 9570) useful for music production, there are lots of horror stories of terrible latency failures. The Killer Wifi card is a huge culprit (ndis.sys) and even with an Intel 9260 some people report terrible "uncorrectable" latency caused by ACPI.sys. I don't know if these people have done any of the power setting tweaks designed to improve DAW performance in Windows 10. Thank you in advance for any useful feedback. Thank you. I really appreciate it. 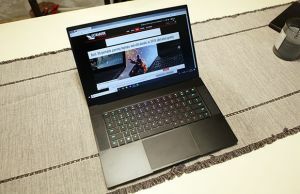 The other computer that I am considering is the Razer Blade 15 because Razer advertises their line for DAW use. I saw that you did a preview of the new Razer Blade 15. If you do a full review, a comparison in DAW performance would be most welcome. 60-900us for interrupt to process latency. On my 9560, the key to decent latency was to disable the C wait states in the BIOS, as well as SpeedStep or SpeedShift via Throttlestop (you can set up different profiles there so that SpeedStep/Shift can be toggled for general computing and battery life). I still don't know if it's amazing, but I can get decent live performance @ 48k with a TB3 Focusrite Clarett interface. Thanks for the 9570 review, the VRM thermals and performance upgrades are great. When they get to cheap 2nd hand prices that might be tempting. Kindly shed some light on actual or real-time battery backup in terms of minutes/hours of both 9560 & 9570 (for 56Whr) under various stress levels (from light usage to heavy usage). I don't have the 56WHr for the 9570. The stock battery lasts me easily 8-10 hours with an undervolt with the FHD display. I had the 9560 with 56WHr though, and that usually just hit 5.5 hours. Very interesting review. I'm interest by what you said about the egpu performances, the xps 13 9370 with an egpu seems to give a better experience with gaming than the 9570 itself. The thing is, and I would be really glad that someone answer me because I would like to buy my computer very soon, I'm hesitating between the 15' 9570 (i7, 16GB, 4K) and thw 13' 9370 (i7, 16GB, 4K) + egpu (don't know which one I will use yet) for light gaming (arma III, rust, the division, pubg, frostpunk, …) and typing note at college. I'm looking for portability, battery life, and performance obviously. If you are not going to be moving the eGPU more than a couple of times a year and you are sure that you are willing to pay more money for the ability to have a smaller and lighter computer, go for the xps 13 9370. So I’ve been looking for a computer to pair with my 1080ti egpu because I want to play on it and take it to classes for college. I am in the same dilemma as coco and I still can’t decide between the spa 9370 and 9570. I want to be able to play bf1 online (which is a lot I expect I know) but I just don’t know if the i7-8550u can handle that, even with its higher 25 tdp. On the other side of the token this 9570 seems to struggle with egpu’s and it definitely has a capable cpu, so what is your opinion? Yeah gaming in class wouldn't be a very good idea anyway lmao. I figure if I pair it with a cooling pad along with the new thermal design I should get a good performance out of the 8550u. Currently I have a Lenovo 720s and it also has an 8550u but for some reason it NEVER gets past 1992 MHz (might be due to the 15 TDP). Runs horridly with bf1 online, so hopefully the 9370 can do a lot better. I bought the exact config and got it pretty early (at the very end of May). I was wondering if you've tried out using Intel XTU to undervolt the system since I've gotten mine to hold a ~160mV offset pretty well. I'm in the middle of trying to get a better voltage/frequency curve set in MSI Afterburner for the GPU, but so far it seems I can get it to run upwards of stock clocks while undervolted (1711 mHz @ 875 mV). With this I should be able to get a pretty good thermal and performance improvement while pushing the system hard. In relation to your battery wear issue, I don't think it's a problem on all of them since mine reports 2% wear after using it for a few months in HWMonitor (and full 97 watt designed capacity). I've also done some searching about the audio popping issues, and it seems that right clicking on the sound control in the taskbar, selecting "Windows Sonic for Headphones" then selecting "Off" again right after will make it go away for a few hours. It's a bit annoying, but better than dealing with crackly audio. Overall I'm pretty happy with my unit so far, no unexpected issues and seems like it's gonna be a good decision for my use case. I cannot believe or understand this review. Are you seriously telling us that for a PC that required A FRICKEN REINSTALL OF THE OS due to: "Unstable and buggy out of the box; required clean Windows installation" is only docked 1 star? By any reasonable and rational view, if a new laptop requires a fresh install simply to function as intended then it is not fit for purpose. To only take away 1 star for the list of negatives you have is utterly mind-boggling. This is a max 3/5 review and I have to question your logic and judgement. I'll jump on to this until Doug gets to it. The things is, if you're after this kind of a form-factor and hardware, you'll have to accept the compromises. Having to reinstall Windows is a minor quirk imo if it fixes things. Yes, ideally that wouldn't be required, and you might not run into the same issues on your unit and might not have to do it, but if a reinstall addresses them, then hey, that's a small price to pay. It's a simple task and takes about an hour or so. The rating is of course subjective, but this laptop is, at this time, the best you can get with this kind of build, features and price, and it's a good buy if you're willing to accept those nits. Which btw I don't think would actually bother most users, aside from the instability and perhaps the lack of a cheaper FHD IPS touchscreen. In fact, I'd personally rate this a little higher than 4/5, given its niche and the competition. So for an engineering student looking to upgrade, this would be a good fit? Using AutoCAD, Solidworks, Fusion 360, etc. I'll jump to this question. I'd say yes, but only if you're after this kind of form-factor and you're willing to do some tweaks (at least undervolt) to deal with throttling to some extent. You'll get better performance with full-size laptops though, and for less. I have an i7 9550 + Aorus gaming box 1080 and I would say it works pretty well (plug and play). Just wondering if the i7 9570 with 4 PCI lanes will offer better performance? I play with egpu to 4K tv and sometimes use the internal laptop display (travel a lot). Play all sorts of games from Fortnite to AAA titles. I read that the 4 lanes v 2 lanes only really benefited for the internal laptop display scenario (return TB3 traffic). I am wondering if this daughter board (Apline Ridge) is on the 9550 also ? Thank you for any advice and nice review btw. Thank you for your reply Douglas. I am due to receive a replacement for my 9550 (Dell warranty repaired in 4 different countries on 8 occasions) in December so I think they will be all out of 9560 stock by then so I assume I will receive a 9570. So it will not be costing me anything. Are you saying with "different implementation" that the 9550 has TB3 piped directly to the CPU and the 9570 has TB3 to the Alpine Ridge daughter board and then to CPU ? No, they both have the same setup. Just one has 4 lanes instead of 2. Thank you for the great review of Dell xps. I have liked the 15.6" Lenovo Ideapad that I've had almost 3 years. But the hinge to open and close has cracked. Now I have the lid propped on the broken side and the laptop is no longer portable. so I'm researching for the next computer. I don't need a 2 in 1. I am not a computer gamer. I use my laptop primarily for writing , and managing (storage and organizing ) of digital photos, some editing such as cropping, color saturation, exposure and removing unwanted elements in the image…. but I'm more likely to use the in-computer photo software than to use Adobe. I actually prefer Corel to Adobe. I had planned to purchase the xps 15 9560 with 512GB SSD with non-touch screen, FHD . Now I am wondering if I should purchase the 9560 or move up to the newer model of 9570. What do you recommend. and yes I'd rather save money than spend just to say I've got the newest!!! But if the newest is really better then I'll do that. I'll appreciate your advice. The main difference by far is the CPU/GPU performance. If you are doing multi-threaded workloads with every core or want to play games, the 9570 has enough advantages that it's worth the extra few hundred. If you just want to use it for writing and photos, then I don't see why the 9560 wouldn't do you just fine. But make sure you are getting it for less than the 9570 by around 4-500 USD. What about music production? Is this the best laptop to buy in this price? i7-8750h, 16RAM 512SSD, FHD. I'm trying to scan the internet for information about DP 1.2 support with MST (Display Chain), without news for the Dell TB dock. Are some of you able to share your results? I would love to know whether it's working as expected, but also if it Will Work with a hub with DP1.2+USB+TB(to power) fx. Thanx for the review. Great info. I also got the laptop and had very bad bsod, driver power state failure. It was the samsung 970 evo that caused this incompatibility, and nothing seemed to help (tried ahci-raid etc). I tried everything but it was the ssd to blame. Rock solid with its oem hynix sk512. I just thought i should mention it, because you are the first review i've read that had crashes due to the ssd. Very happy with mines and have exact specs reviewed. Hi, thanks to your complete review. I am an engineering student and I'm looking forward to upgrading my laptop. Now I'm working with a Microsoft Surface Pro 4. The fact is, the battery life of the SP4 isn't really enough for even a half-day at university (it only lasts 3-4 hours on web-browsing). So I'm looking for a light (less than 2kg) and powerful laptop with long battery life in order to leave my charger at home. Also, the ports are important, as I'm not willing to have different card readers (the XPS 13 supports USB-c only :-|, leave alone a full-size sd card). I was pretty much sure about buying the 9570, but the fact is Dell has sanctioned my country, meaning that I'm going to get zero "Dell Support", and reading your opinions I became afraid of taking the risk and buying it from Amazon. Is the "Dell Support" a must-have, according to numerous issues mentioned? And if not, have you any suggestions in mind? For the X1 series, the Carbon edition is available here. But the fact is, in my country guarantee means almost nothing :) so I'm thinking to get my laptop either way from somewhere else and have it shipped for me. 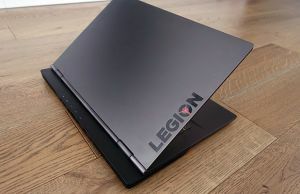 Besides, I couldn't get to love the design of Lenovo's laptops :)) Could you possibly think of any other choice with a more modern look? I'm sorry to hear you can't get reliable service in your country. I hope there is a way to contact lenovo and let them know about the situation there.